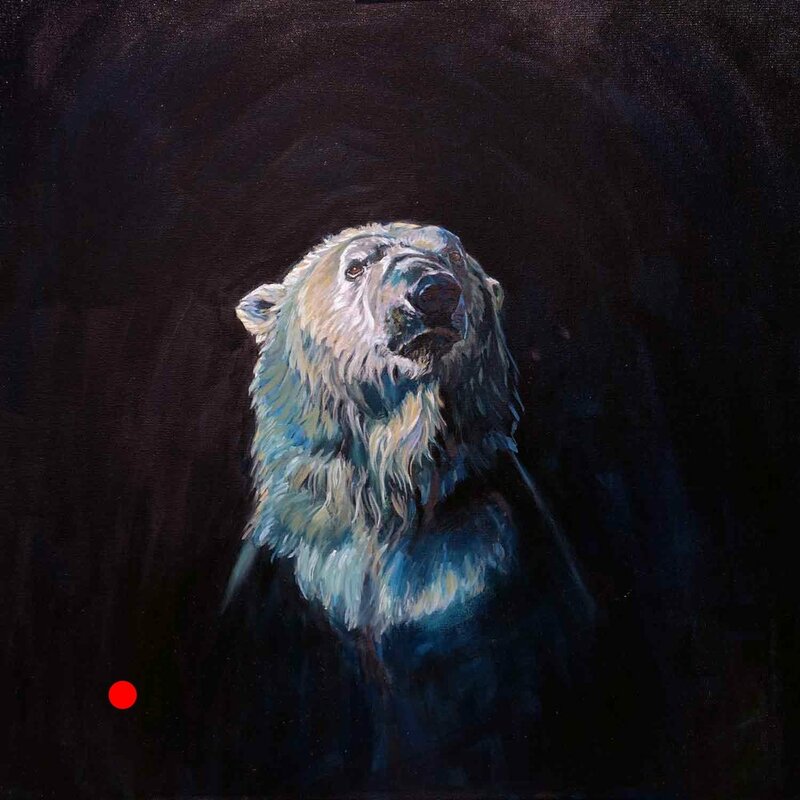 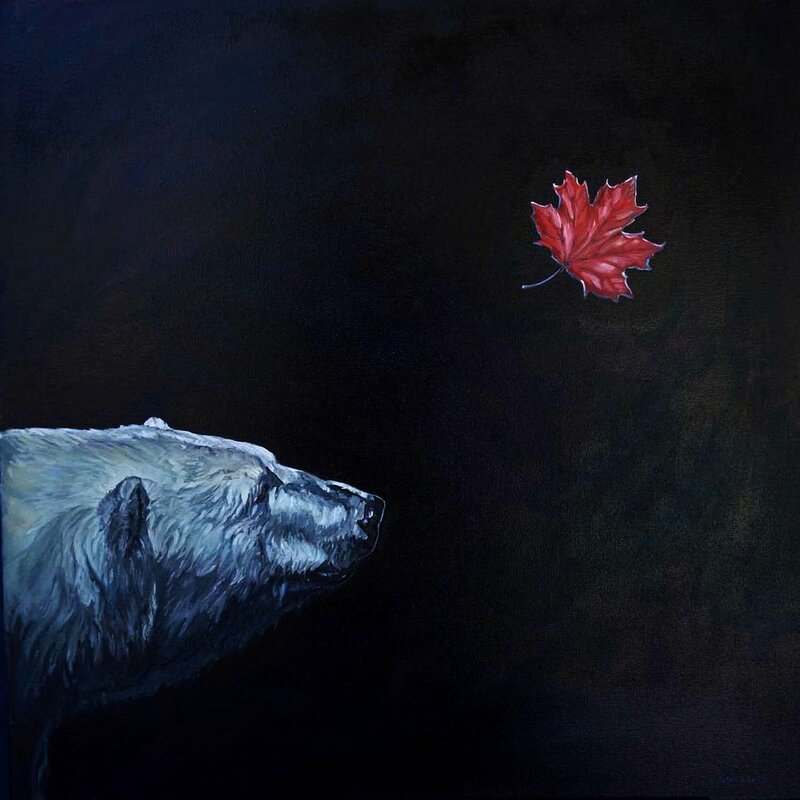 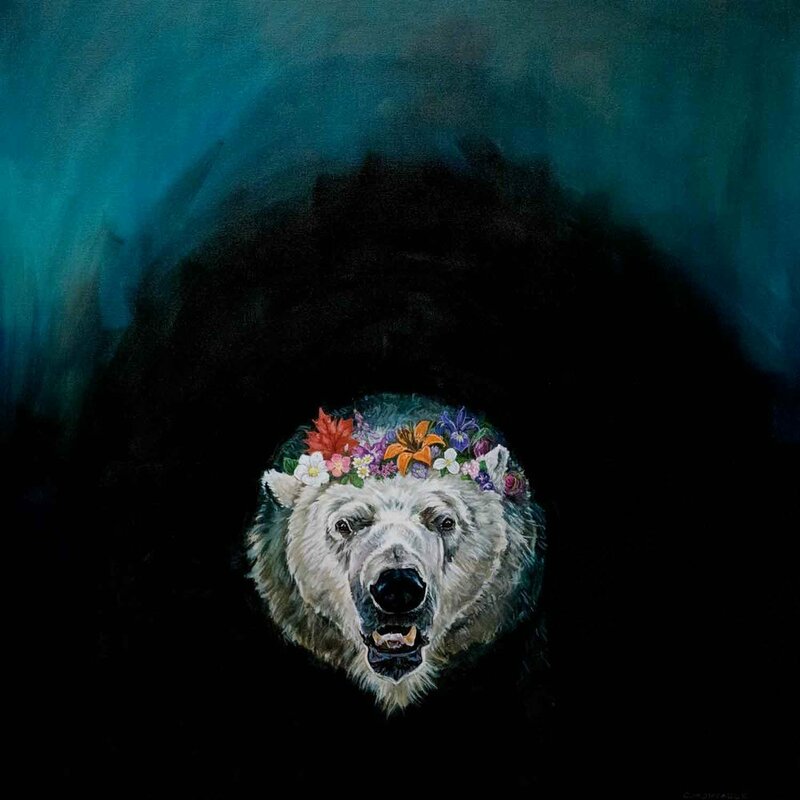 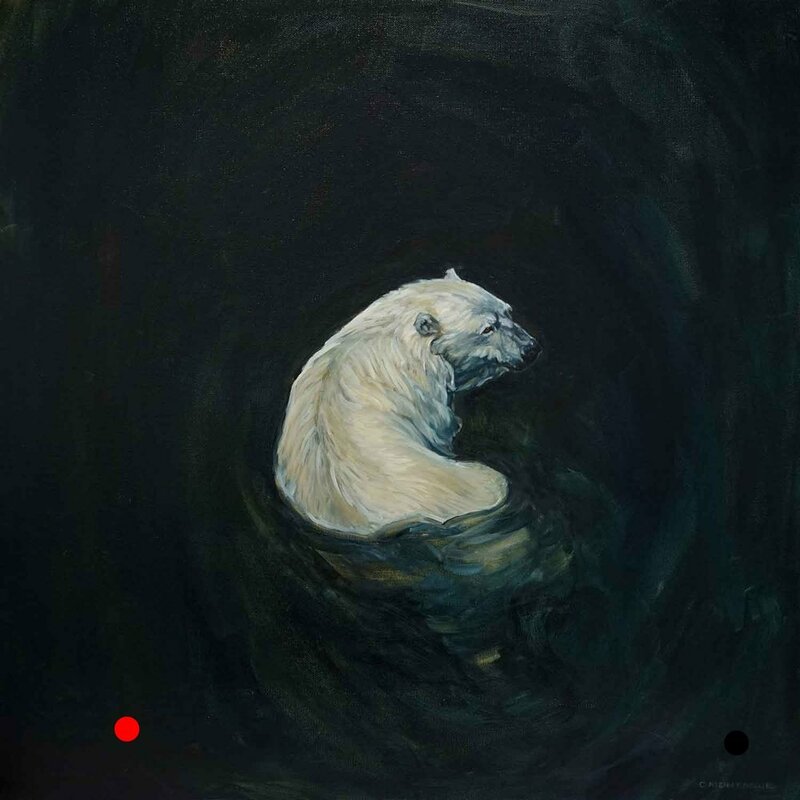 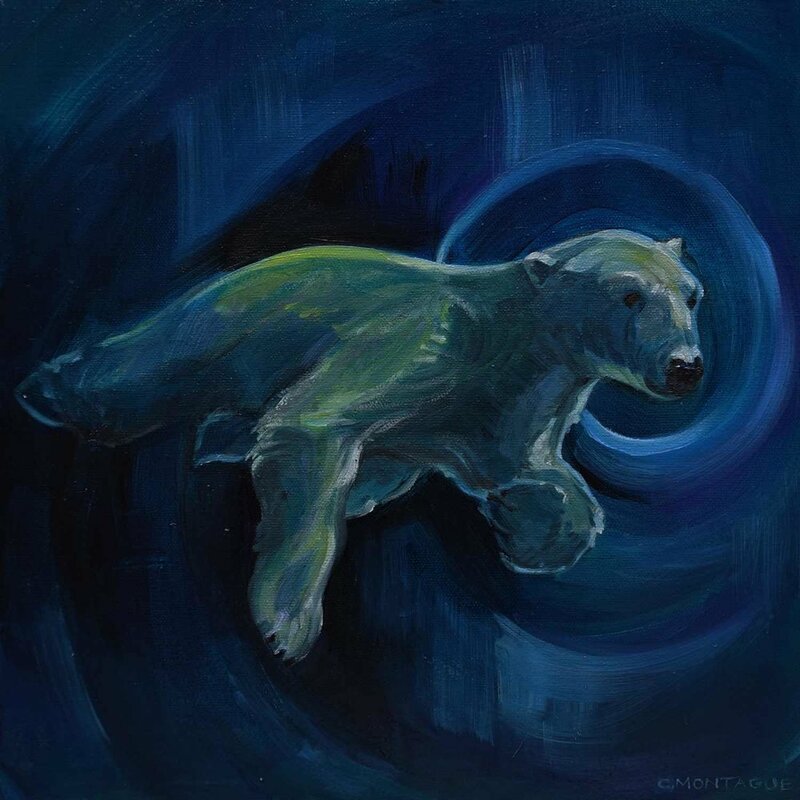 "Premonition: Ophelia and the Polar Bear", is a 36" x 48" oil painting on canvas, and another work in the Polar Bear Dreams Series. 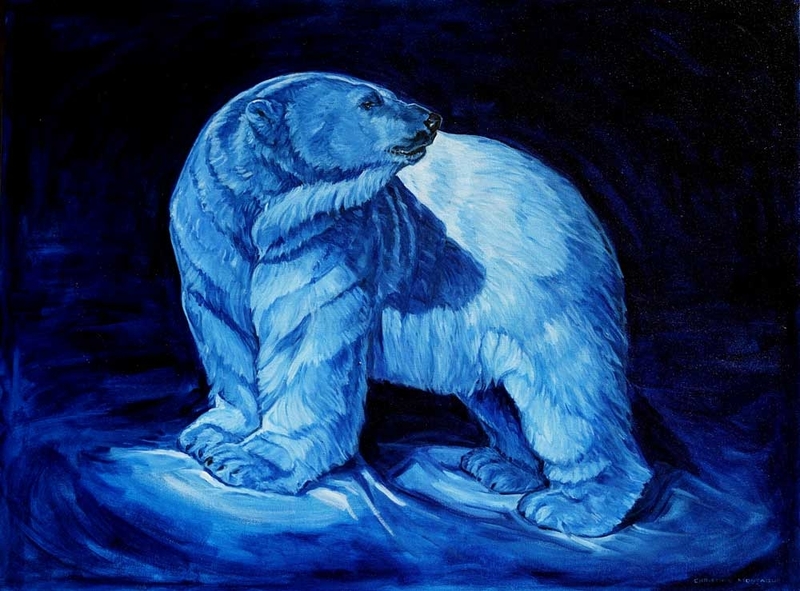 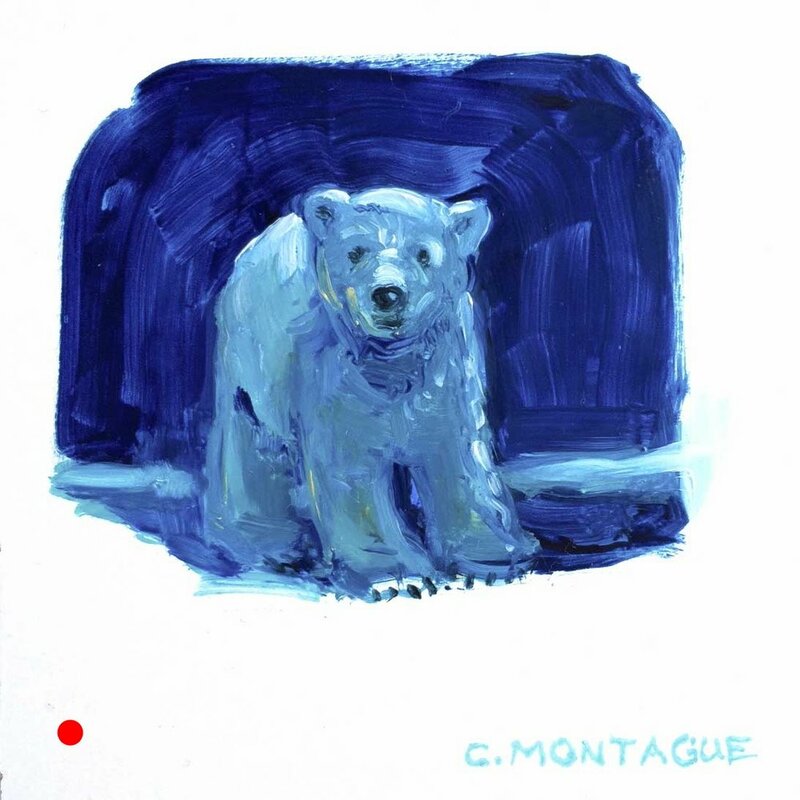 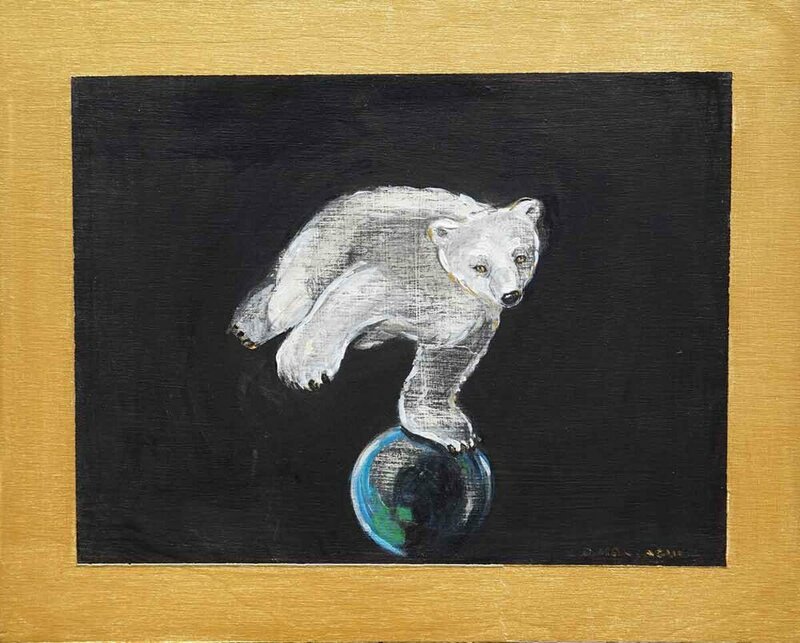 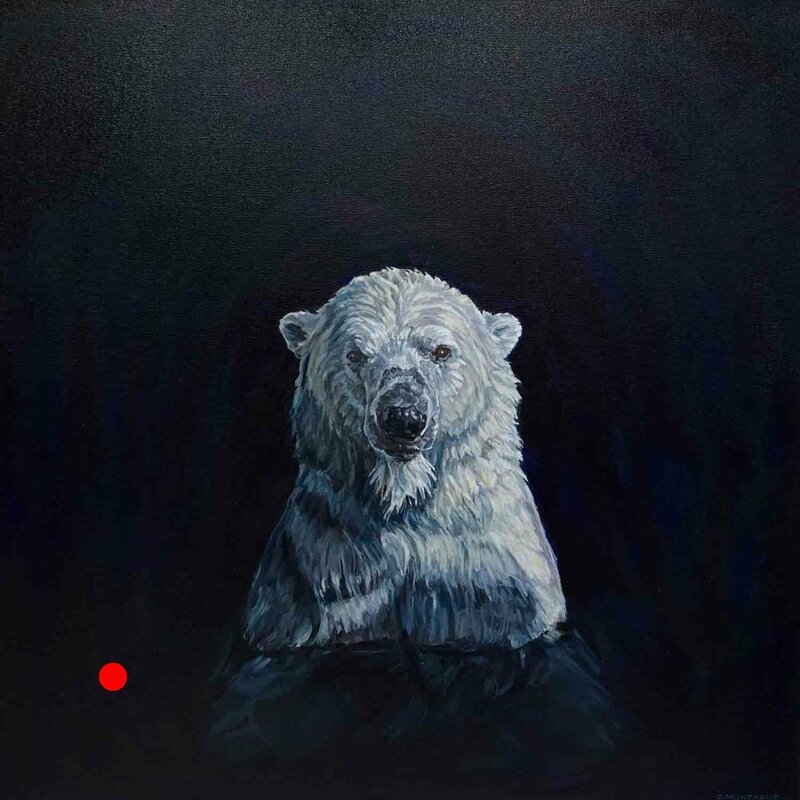 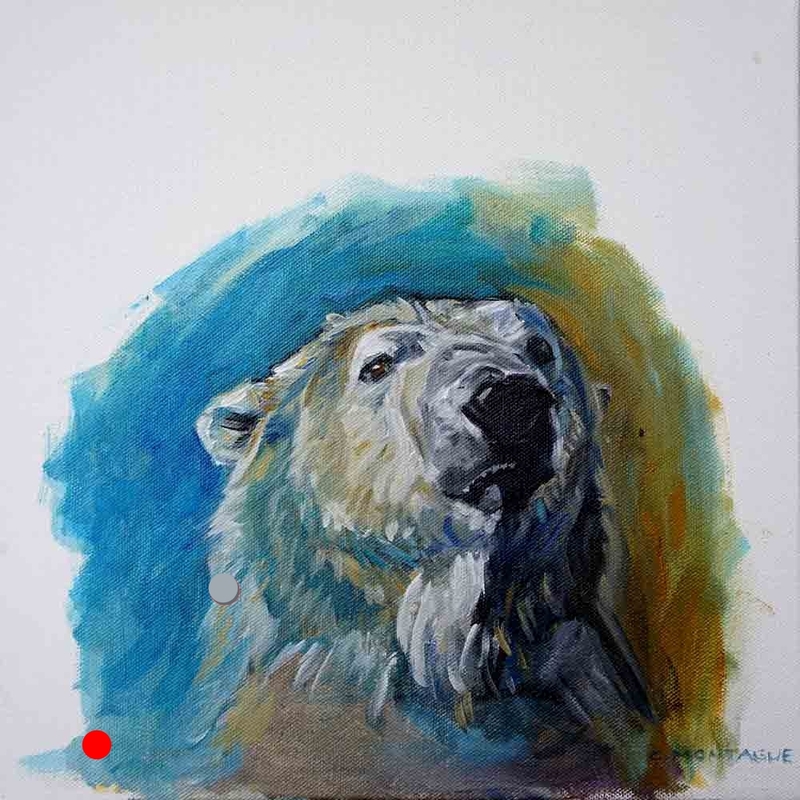 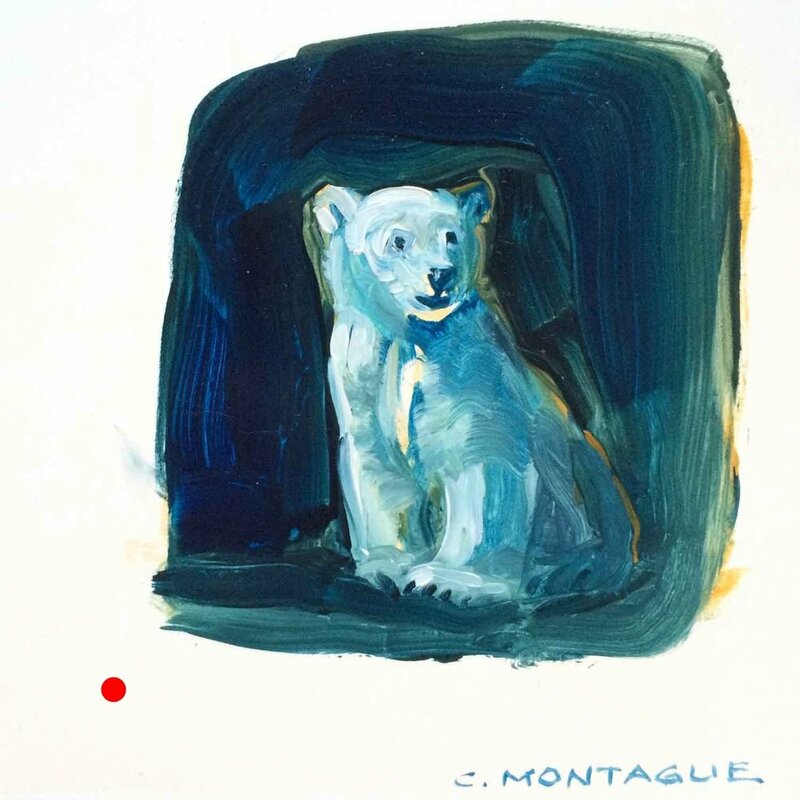 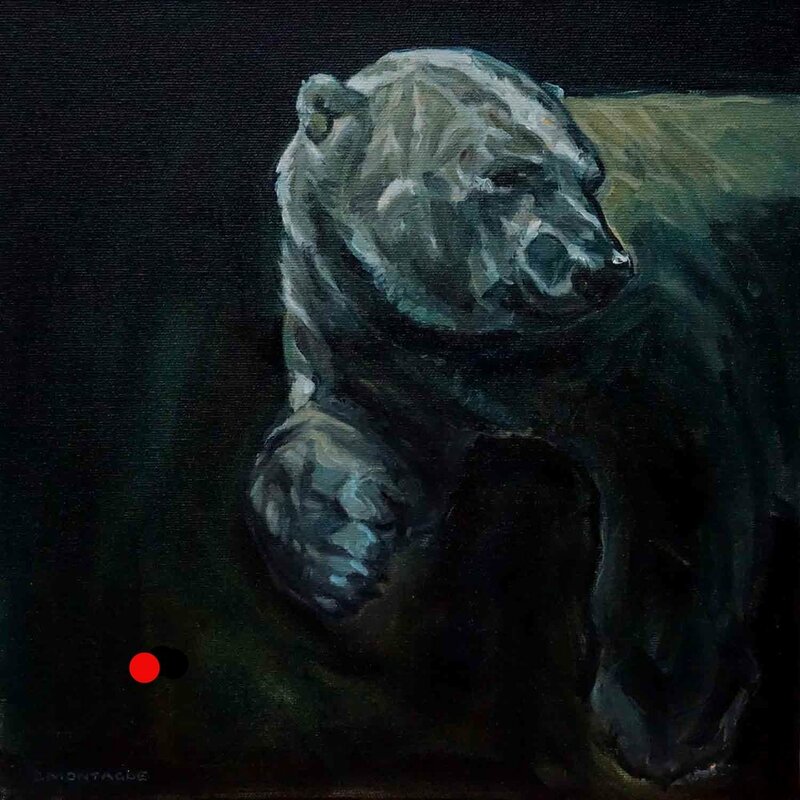 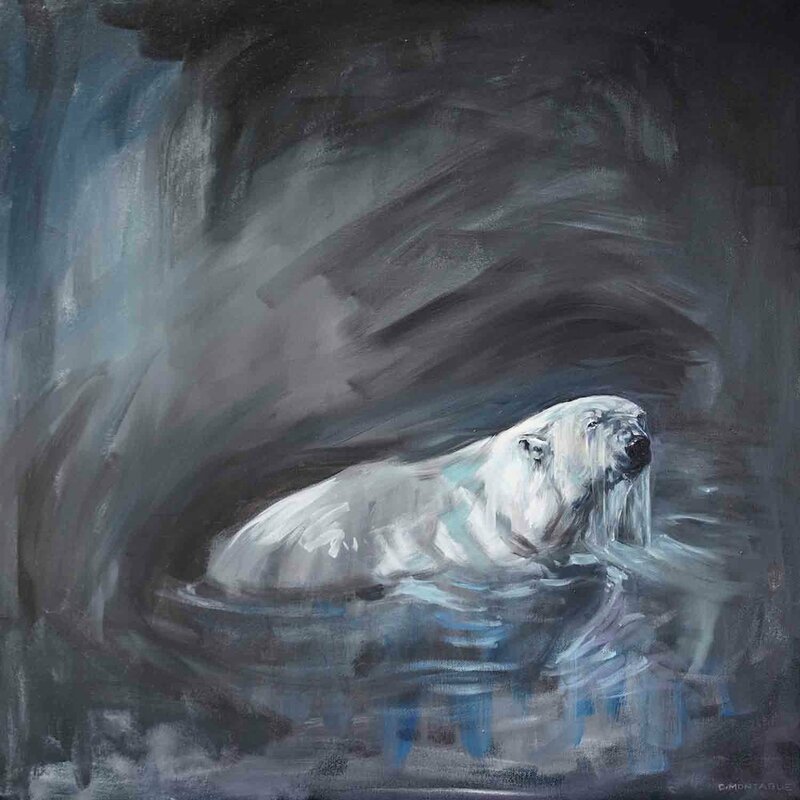 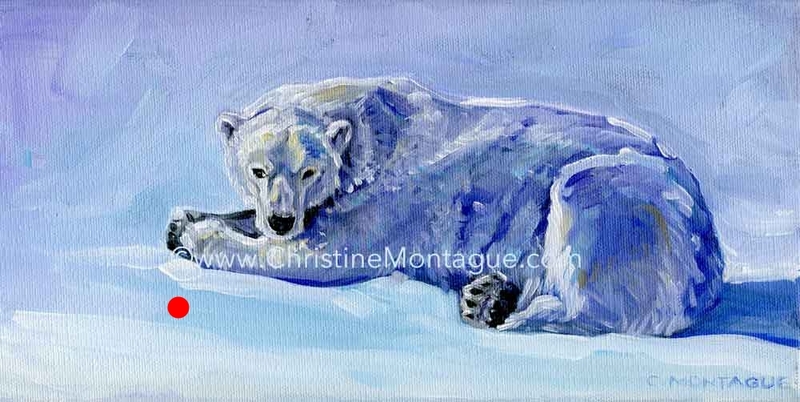 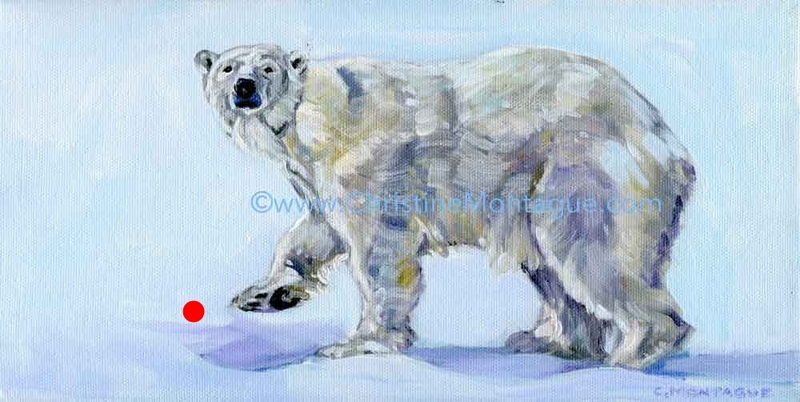 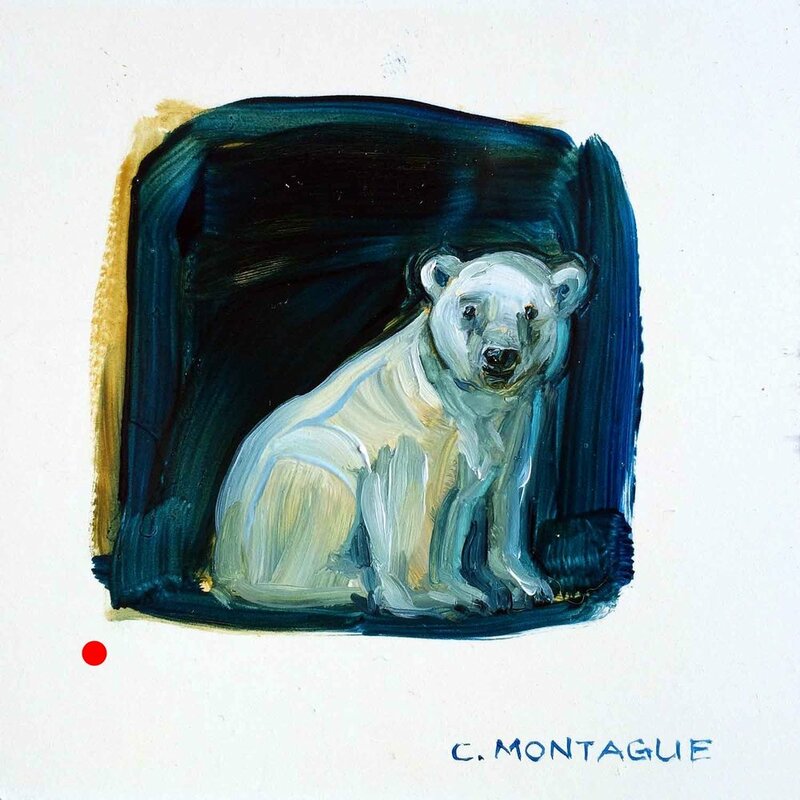 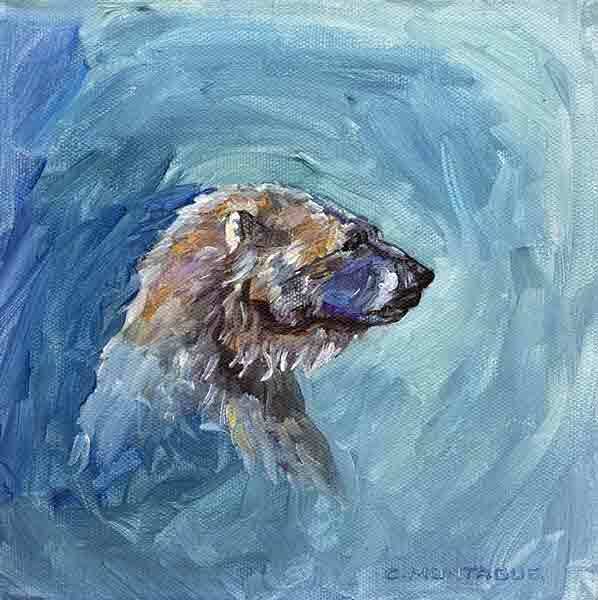 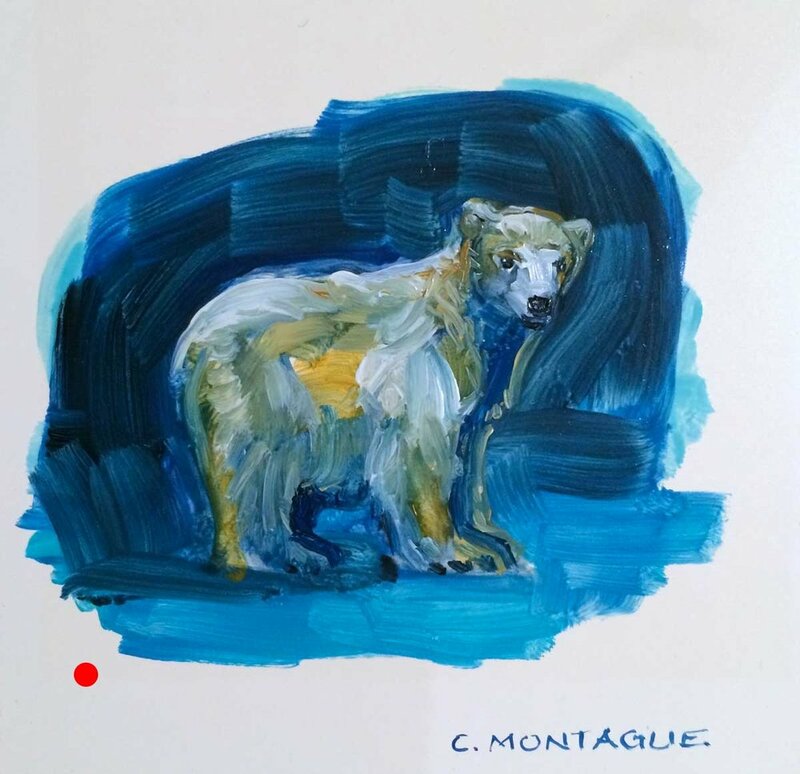 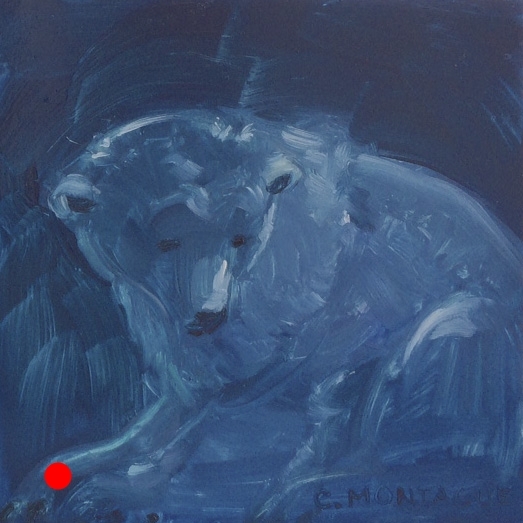 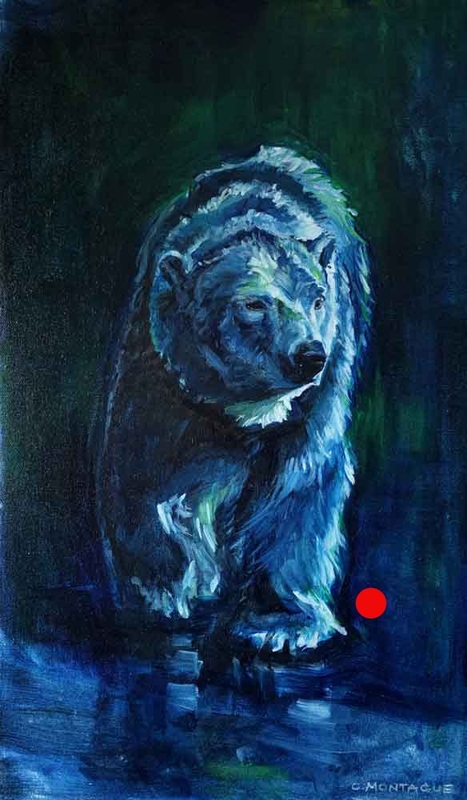 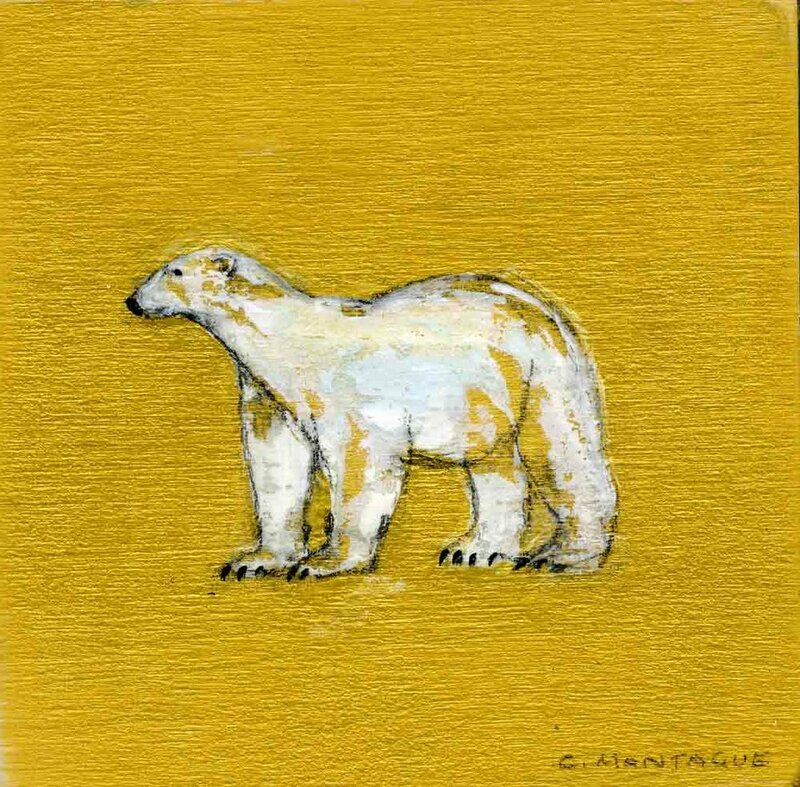 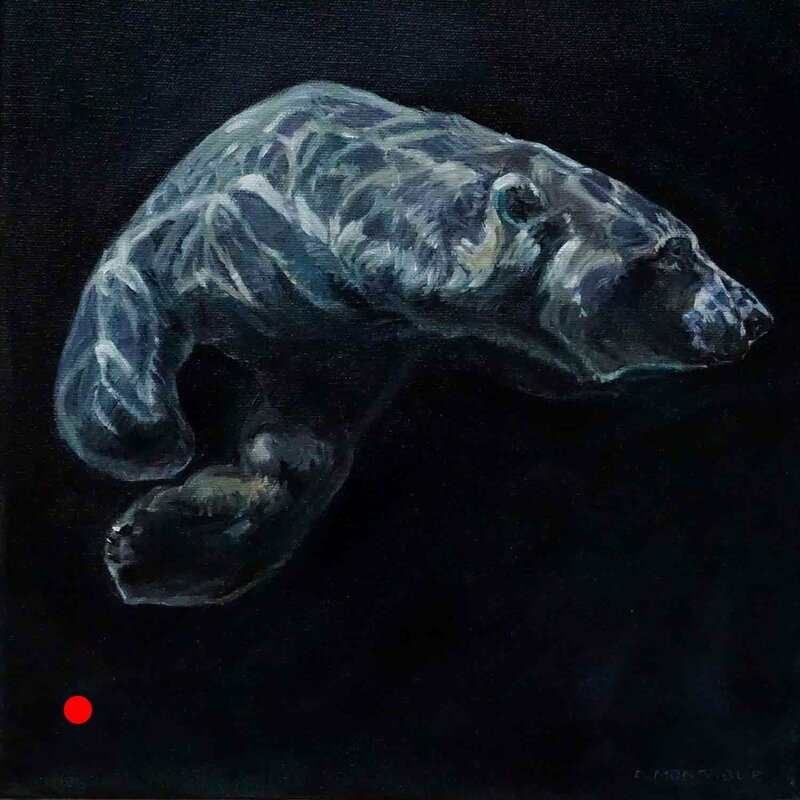 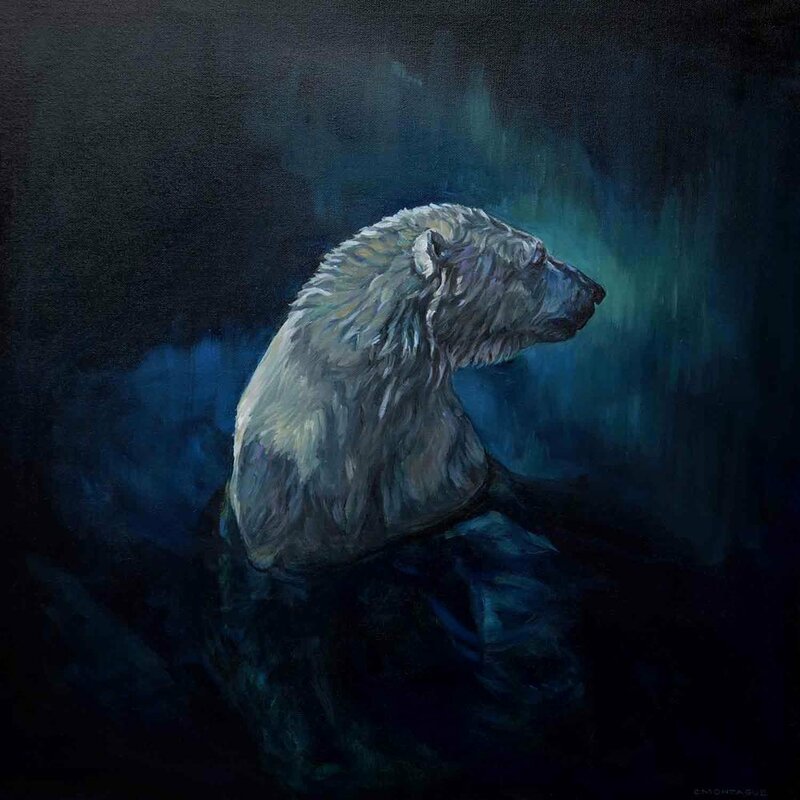 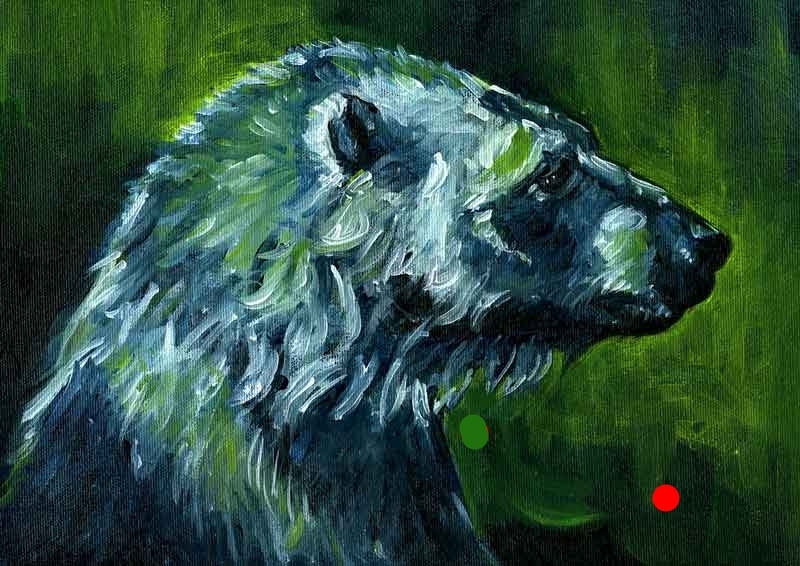 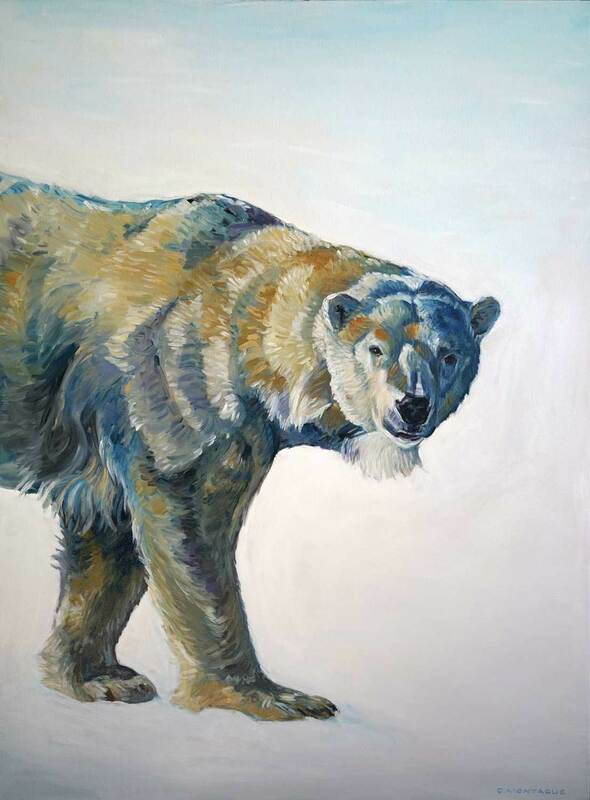 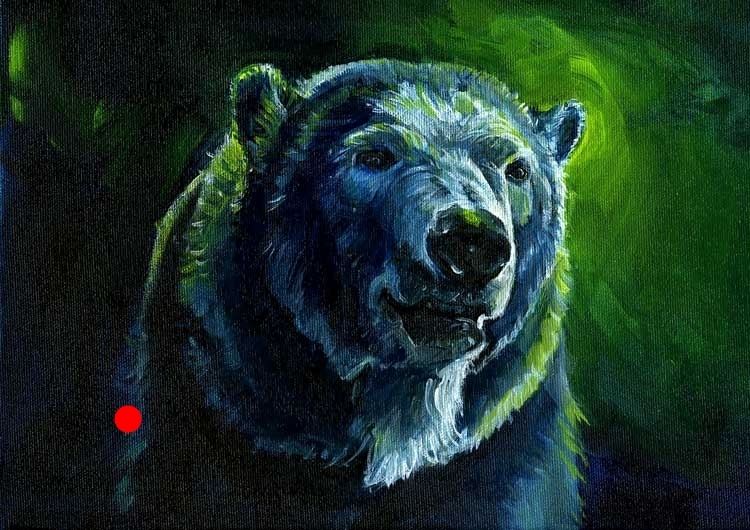 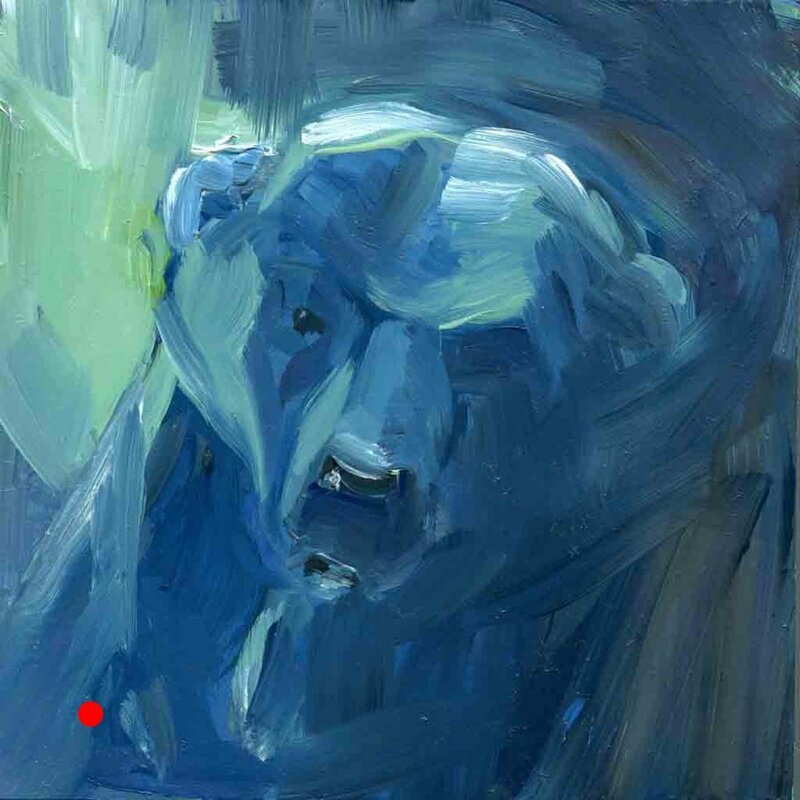 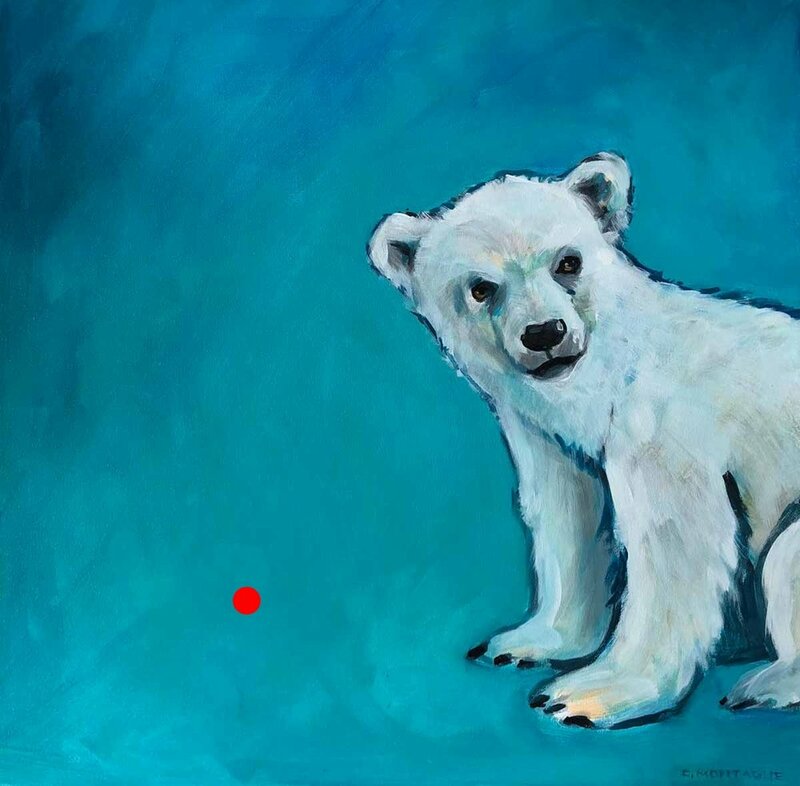 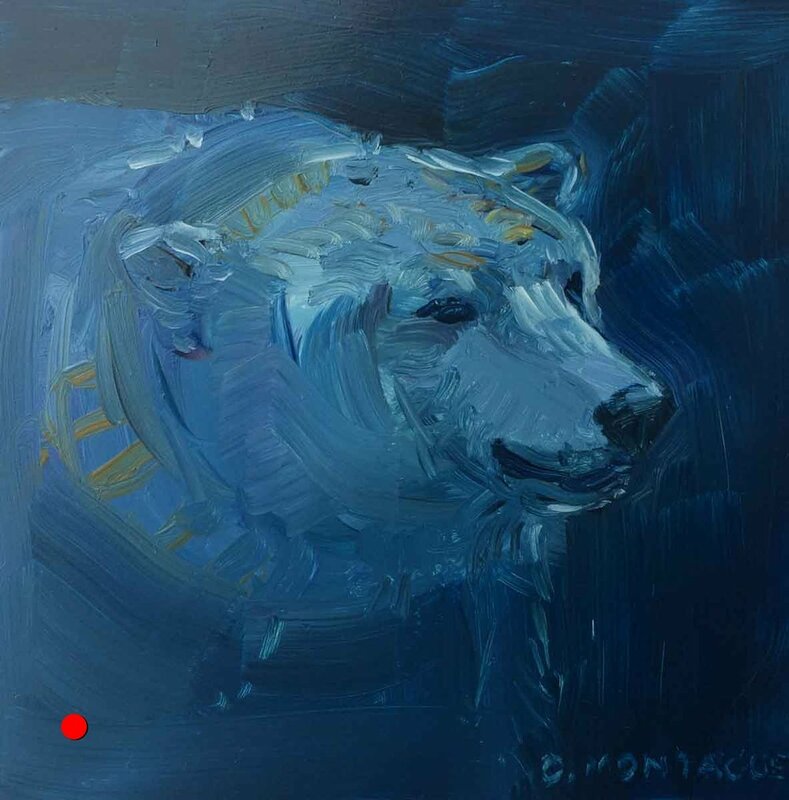 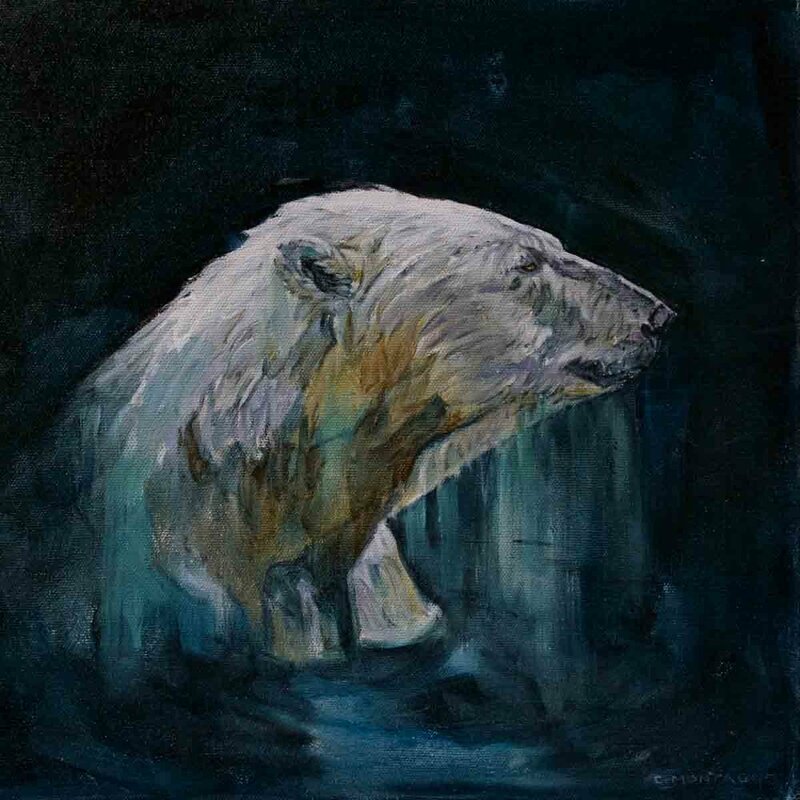 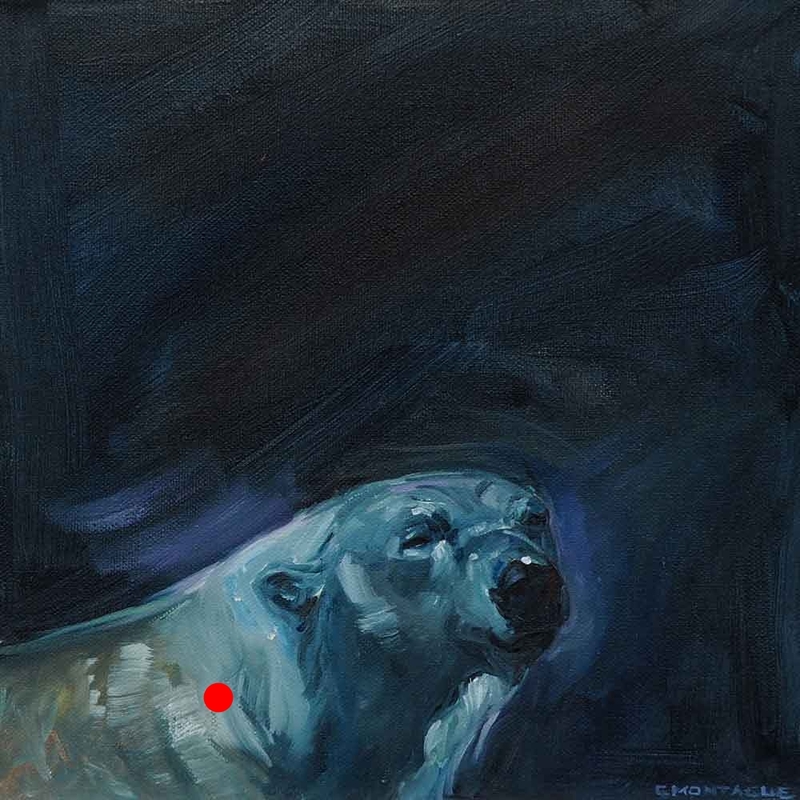 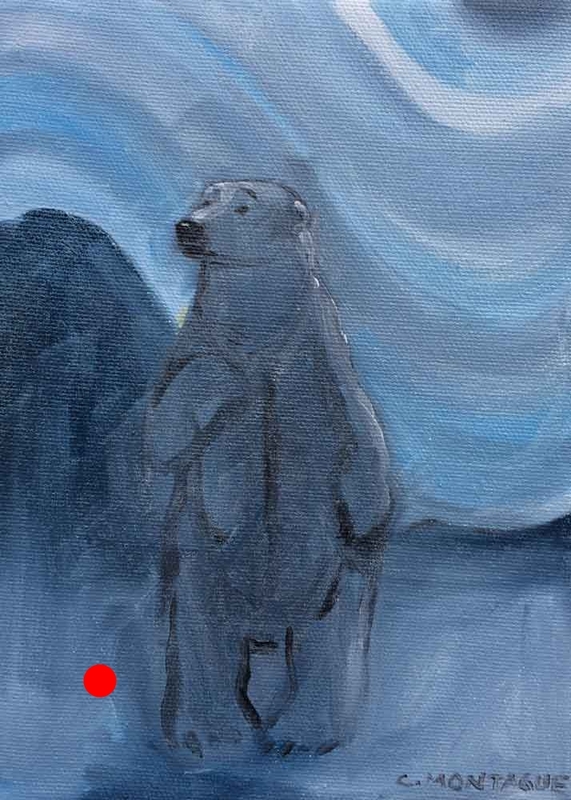 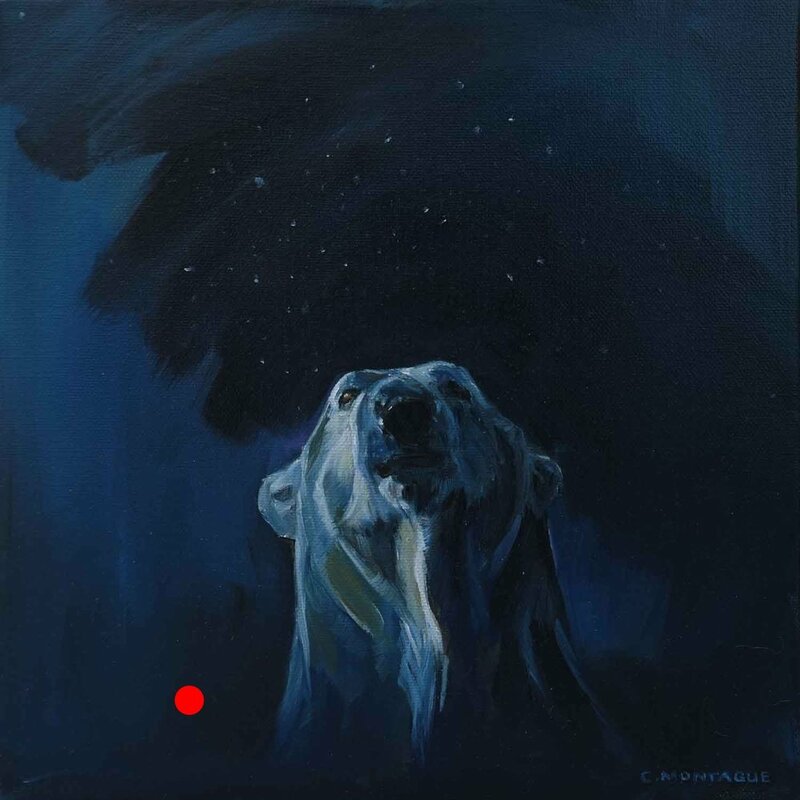 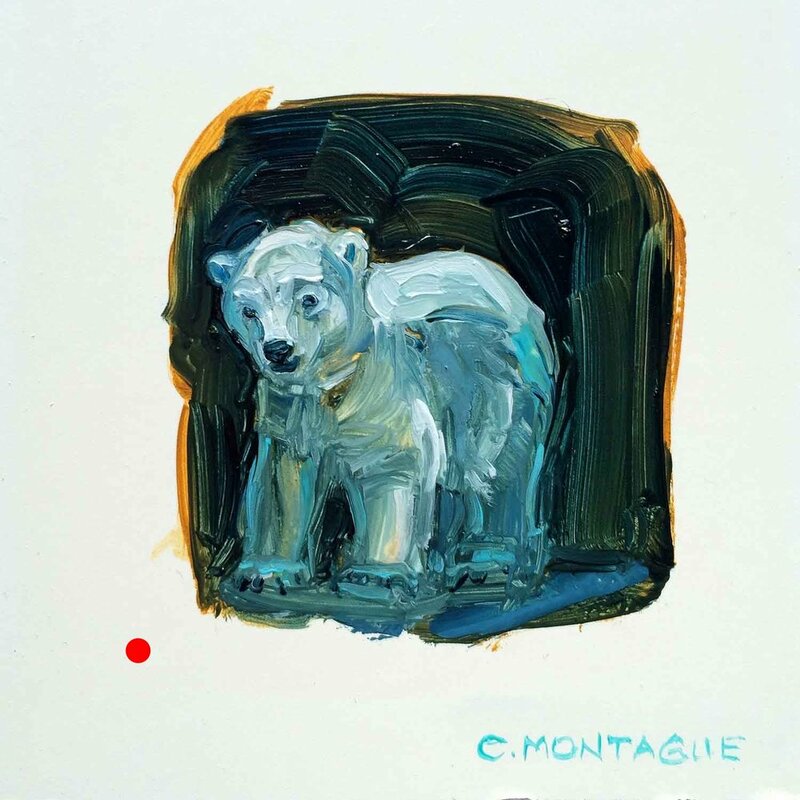 Like the other polar bear paintings in this series, this art work is a blue, white and black dream-like tribute to the mighty bear. 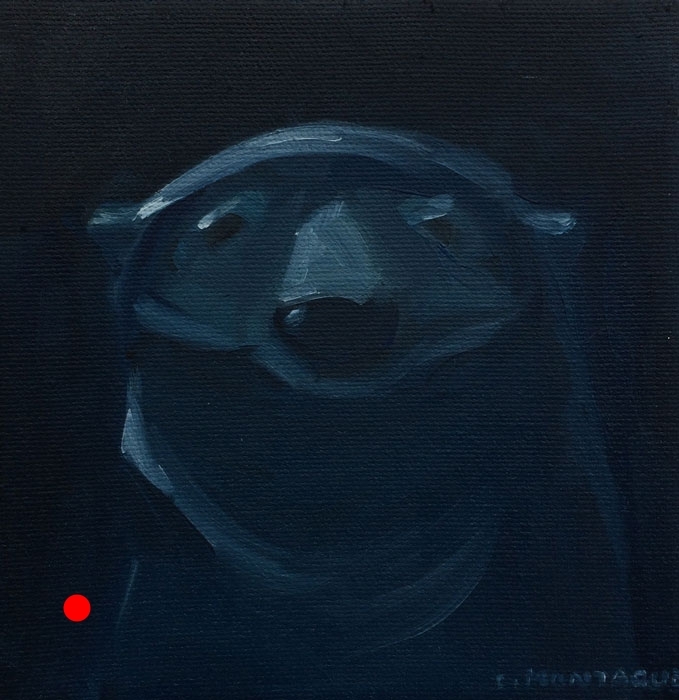 This painting, however, has a mystery to it, a hint of tragedy, and possibly, foreboding. 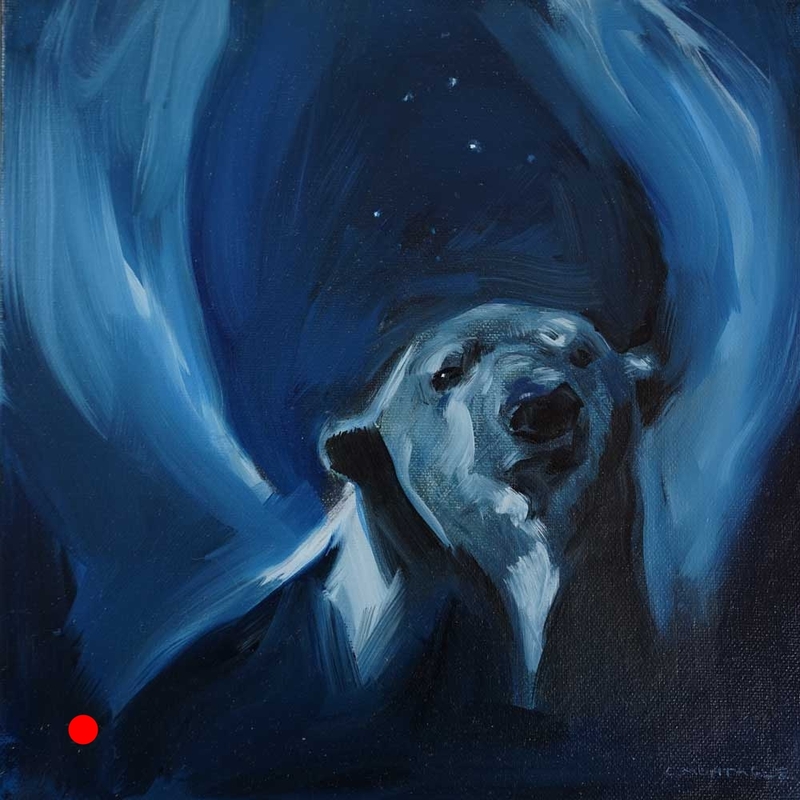 The light of the aurora borealis (northern lights) reveals a young woman trapped in the ice to a passing polar bear. 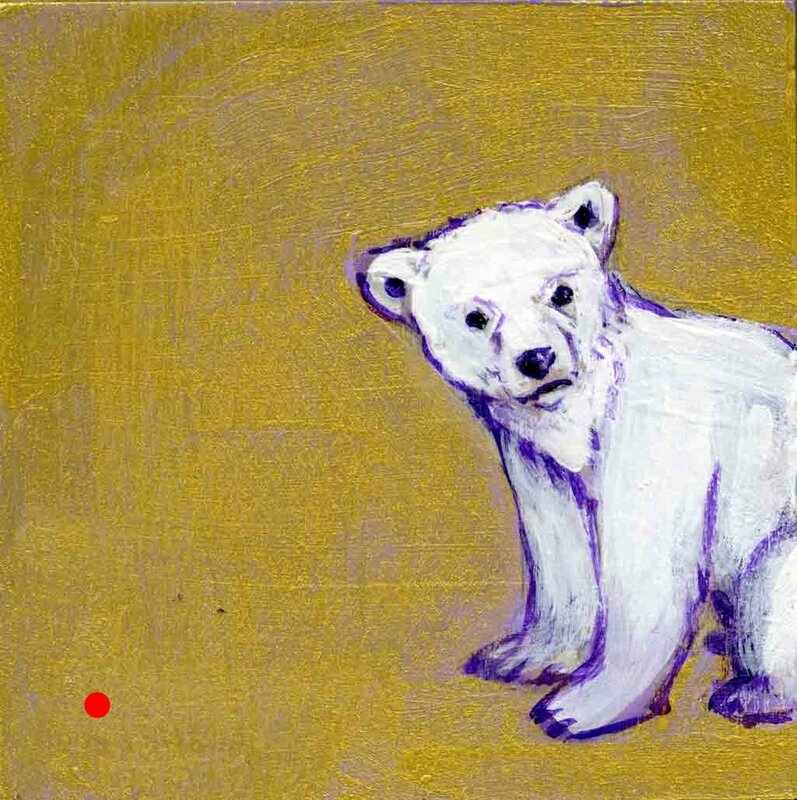 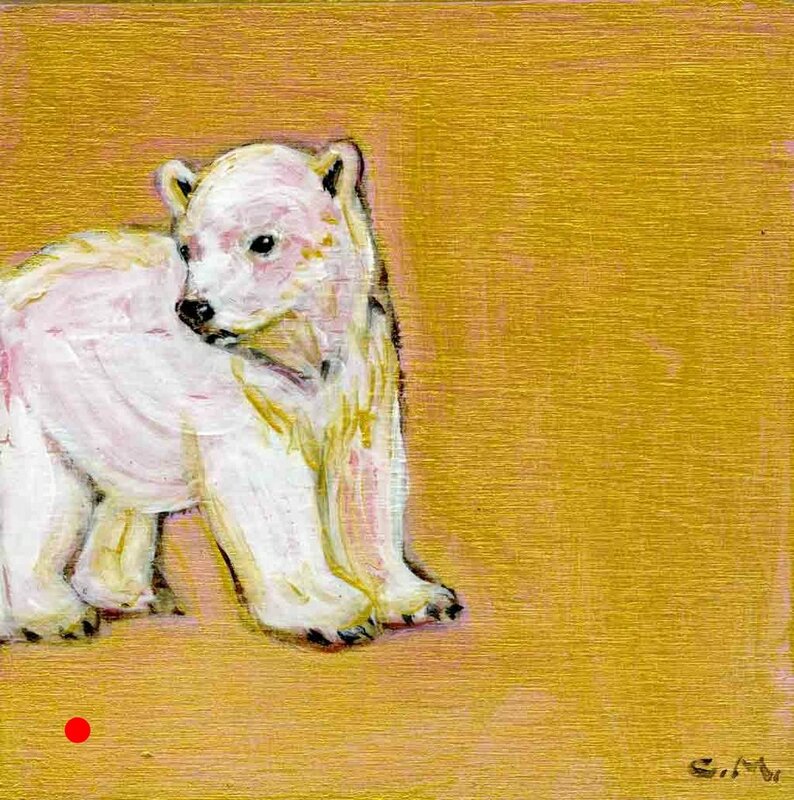 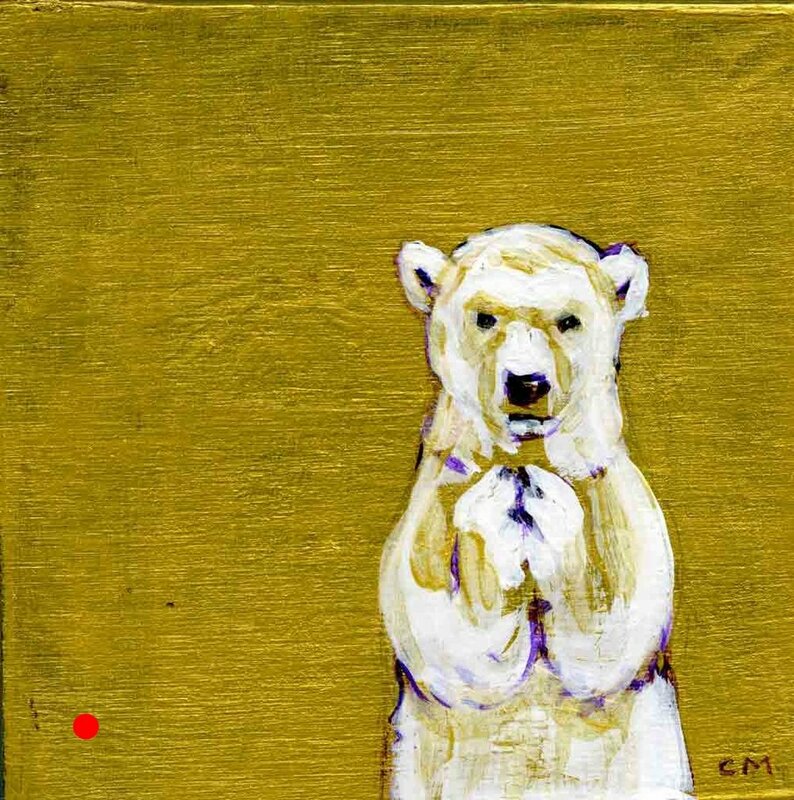 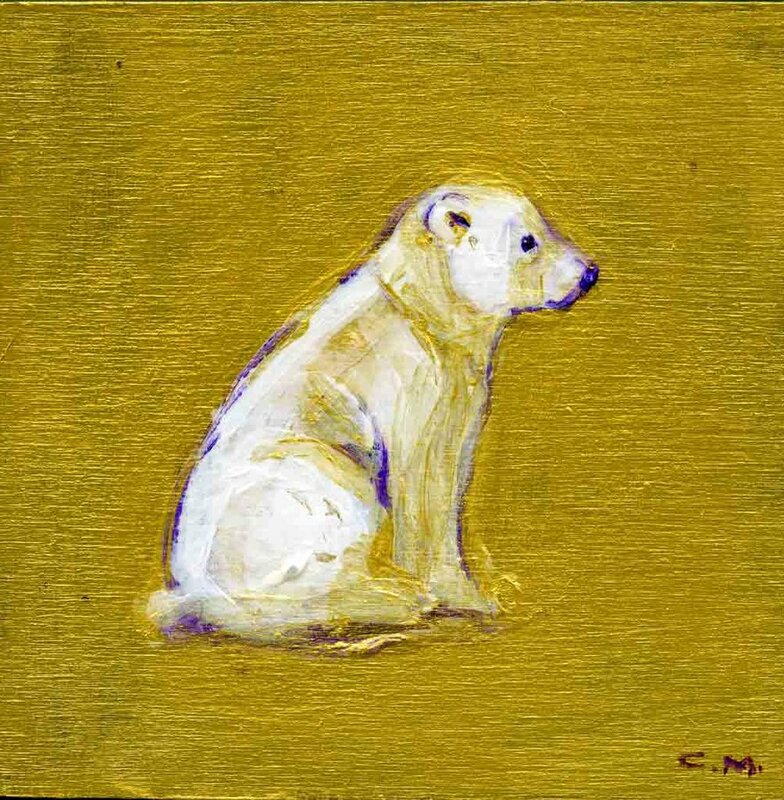 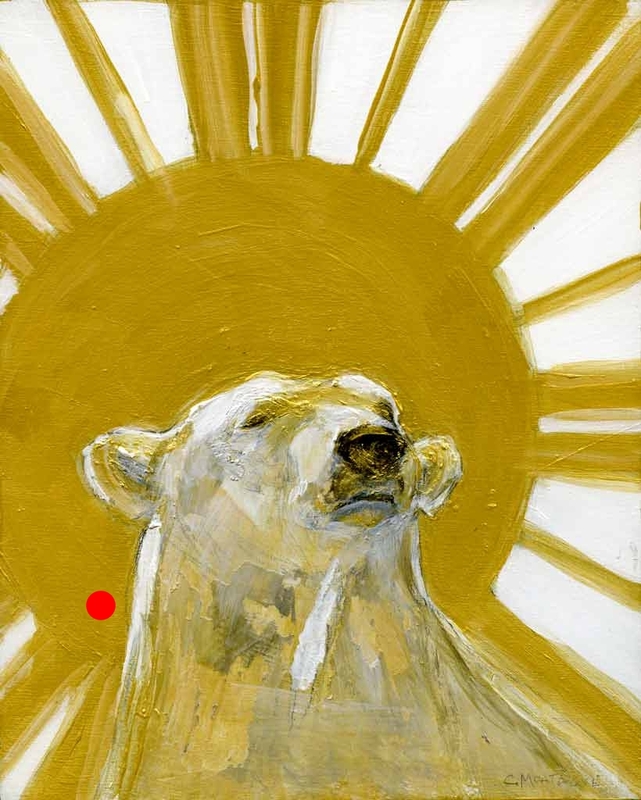 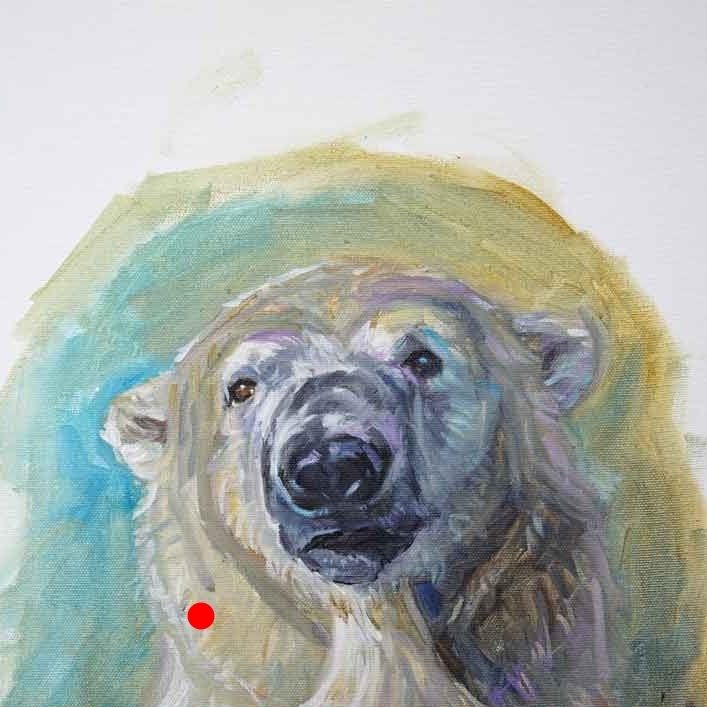 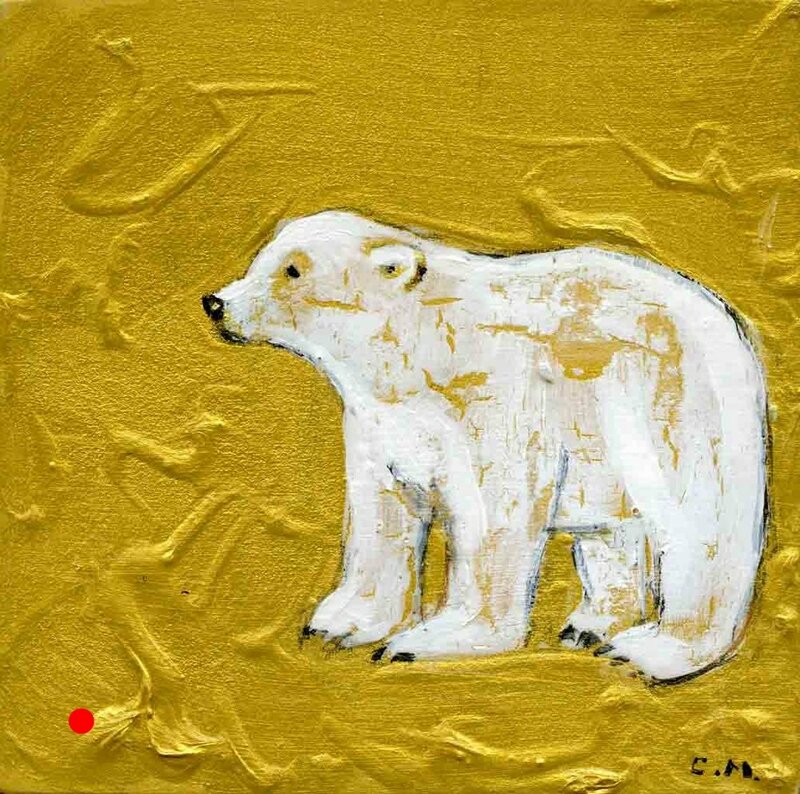 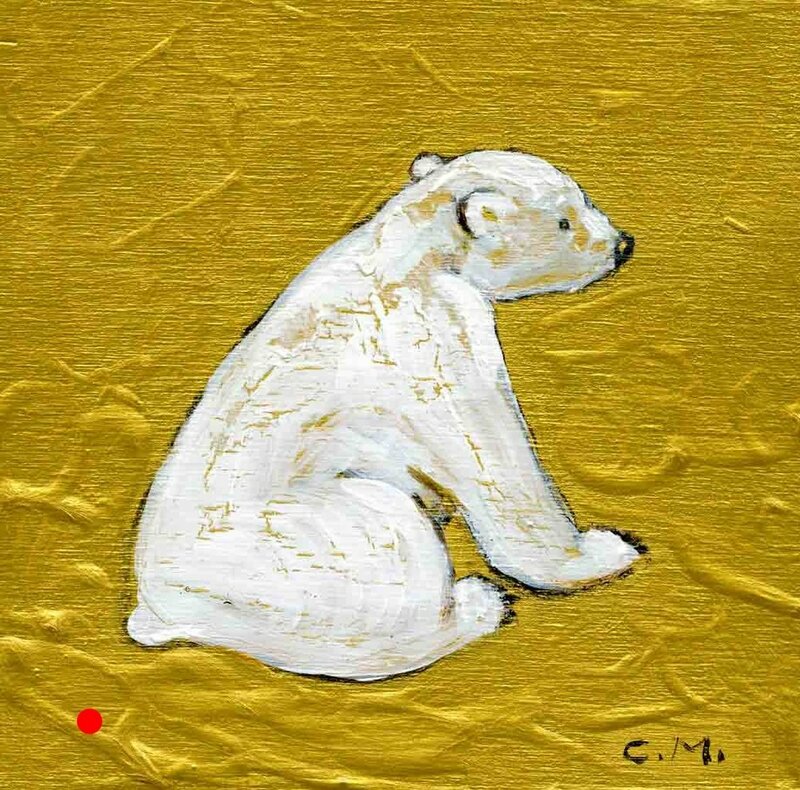 Who is she, and what is her connection to the polar bear and the north? 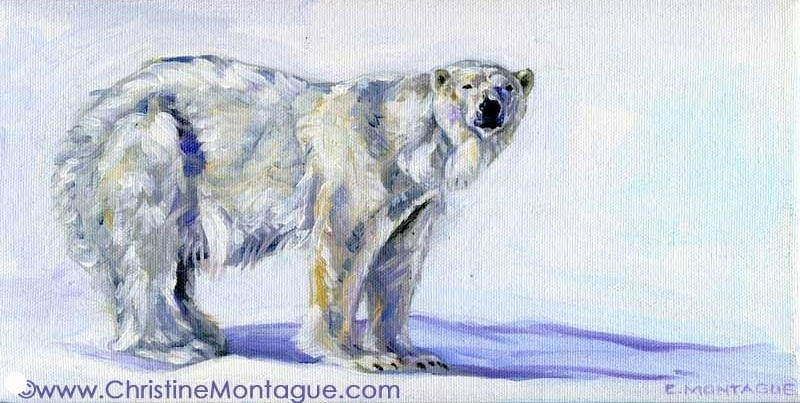 In 2011, Canada’s Environment Minister declared the polar bear as a species of special concern under the Species at Risk Act. 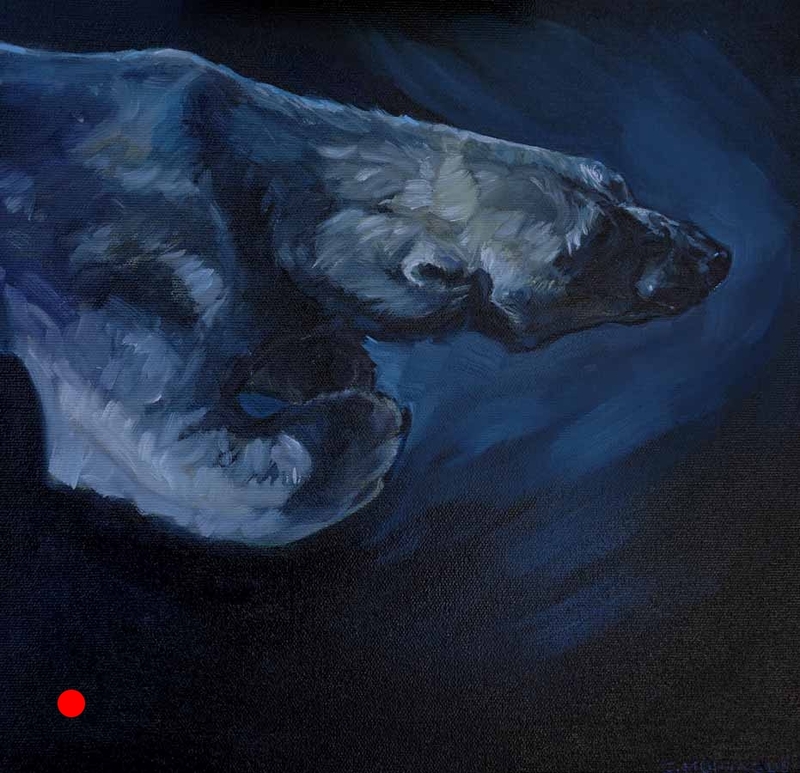 The woman in this painting is after "Ophelia" by Sir Henry Millais (Tate Gallery, London, England). 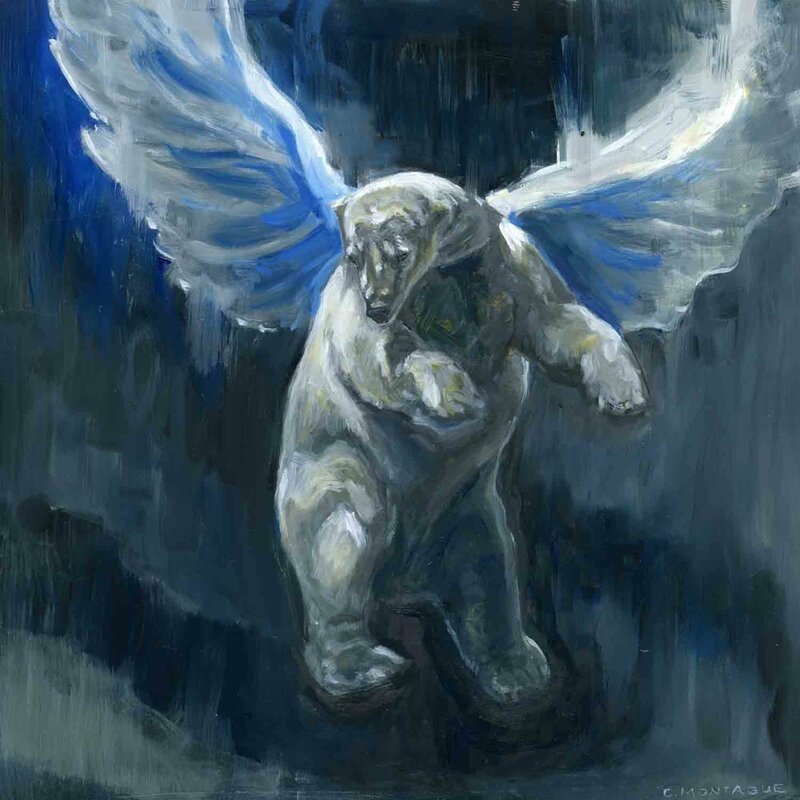 See the famous Pre-Raphaelite painting that depicts the death of Ophelia and innocence lost in Shakespeare's tragedy "Hamlet" here. 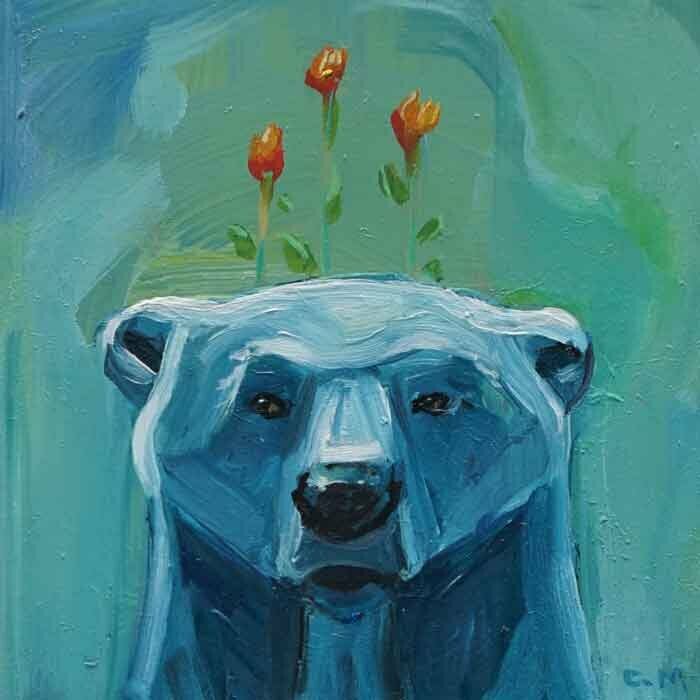 Flowers representing the Canadian provinces and territories replace those found in the garland in the Millais painting.